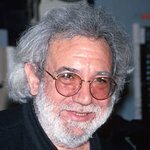 With great honor, family members Manasha and Keelin Garcia announce the creation of The Jerry Garcia Foundation, a nonprofit 501c3 charitable organization. Established as a vehicle to serve philanthropic projects, it honors music’s iconic legend and artist, Jerry Garcia of the Grateful Dead. The Foundation serves artistic, environmental, and humanitarian causes epitomizing the generous spirit that Jerry had brought to his fans. The Jerry Garcia Foundation is in the process of forming partnerships with other like-minded nonprofits in support of meaningful causes. One hundred percent of all proceeds directly benefit those in need. As a first project, The Jerry Garcia Foundation will exhibit and donate several pieces of Jerry’s fine art to the inaugural Art! Vancouver 2015 exhibition to support the wonderful work of the Sarah McLachlan School of Music. The Sarah McLachlan School of Music provides music education to underserved youth at no cost. Art! Vancouver will present an unprecedented collection of fine art from around the world hosted in a beautiful waterfront setting at the Vancouver Convention Centre. The exhibition is scheduled for May 21- May 24, 2015. Jerry Garcia’s daughter, Keelin Garcia, will be featured as an emerging artist at Art! Vancouver. Manasha Garcia and Roberta Weir’s work will also be included in the exhibition. In the following month of June, The Jerry Garcia Foundation will partner with DrawBridge, a San Francisco Bay Area nonprofit that supplies art programs to homeless children. Together they will produce an art exhibition entitled The Art of Rock Legends. 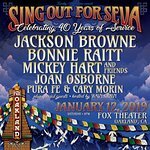 Donated works of Jerry Garcia’s artwork will be displayed in this benefit exhibition to be held at Artworks Downtown, a nonprofit art center located in San Rafael, California. This upcoming exhibition allows Garcia’s much loved renderings to be viewed by the public while also making a positive difference in the lives of children. “It is a tremendous honor to participate in nonprofit work that is in accordance with my father’s values,” said co-founder Keelin Garcia. The Jerry Garcia Foundation is comprised of founders Manasha and Keelin Garcia and directors Glenn Fischer, Irwin Sternberg and Daniel Shiner. Musician Bob Weir and TRI Music Studio’s CEO Christopher McCutcheon are members of the Foundation’s Advisory Board. “From our very first conversation, I realized Jerry was a compassionate humanitarian as well as a brilliant artist touched by the muses. My husband’s art, music and vision continue to inspire love and appreciation. In many ways, Jerry is still very present. It is a blessing to share his creativity with the community,” said Manasha Garcia.